Welcome to the Underwood Farms website. We are a Culpeper, Virginia, based land, cattle and Internet Travel company that owns and manages a registered and commercial Hereford herd of more than 120 cattle on more than 1,000 acres in Culpeper and Madison Counties. 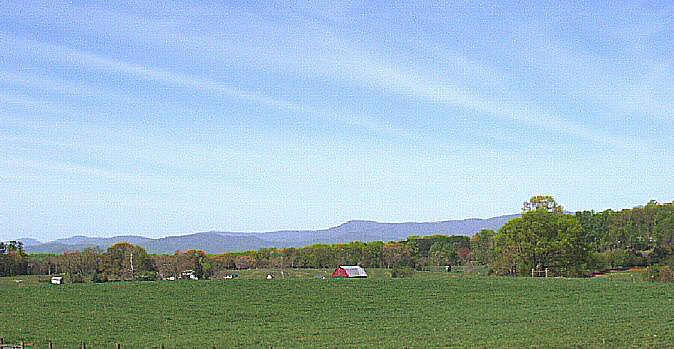 We are consolidating our land and cattle holdings to western Culpeper County. We are offering our Duet farm for sale as we consolidate our Virginia operations. Duet is across from the old Duet post office in Duet, Virginia, near Etlan. With 100 acres of exceptional farmland, 360-degree mountain views, water features and a historic farm house from 1840 and nearby barn, Duet offers a lot of possibilities for a new owner. Duet will be listed on our sister site, www.madisoncountyfarm.com. If you are interested as a prospective buyer of land in Culpeper or Madison counties in Virginia, please e-mail tom@underwoodfarms.com or call Tom at (540) 717-5263. In addition to managing farms and ranches in Virginia, Underwood Farms also provides consulting services to Internet Travel companies. Tom Underwood was recently Senior Vice President for Orbitz's hotel reservations business, prior to its acquisition by Expedia. Prior to Tom being employed by Orbitz, Orbitz engaged Underwood Farms to develop a new search results algorithm for its hotel results. Tom Underwood is seeking election to the Salem District seat on the Culpeper County Board of Supervisors. A land, cattle, & Internet Travel company. DISCLAIMER: Paid for by Friends of Tom Underwood.